Sigma Automation the different essentials of customers, we are instrumental in giving Screw Conveyor System at market leading competitive prices. 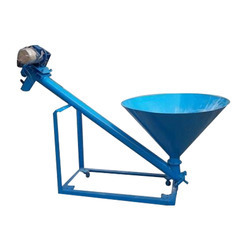 We are counted amongst the leading organizations which are involved in providing a wide range of Screw Conveyor Hopper. With the help of our employees, we fabricate this product with superior-grade raw material sourced from the leading vendors. Offered product is suitable for the industrial applications and known for its prolonged service life. We are providing this product to our clients at highly reasonable price range. 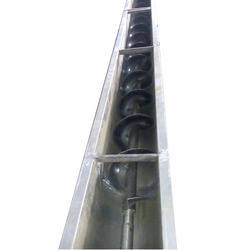 We offered Hanger Bearing Screw Conveyor in MS and SS material. Owing to our immense expertise in this domain, we have been able to provide a wide range of Material Handling Screw Conveyor to the clients. Offered product is suitable for wide industrial applications and acclaimed by the clients for its user-friendliness. In our world-class manufacturing facility, this product is designed with premier-grade raw material sourced from some of the well-established vendors of our domain. Moreover, our product is qualitative as per the international standards and suitable for long lasting performance. We are counted amongst the top companies involved in manufacturing and supplying an extensive range of Conveyors Flexible Screws. 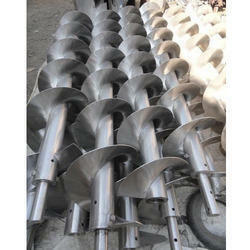 These are used in various industries such as food processing, engineering, construction and many more. Product Details: Minimum Order Quantity 1 Unit Power As per requirement Diameter (mm) 100NB onwards Length (mm) As per requirement Type Spiral,​straight ​ Horizontal Material Stainless Steel Our organization​ Sigma Automation ​ has earned a sterling position in the nation by providing our customers a comprehensive and admirable Screw Conveyor to our customers. Geared Motor 1.5 / 2 HP three phase 440 V AC. 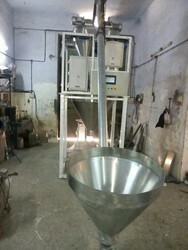 Main hopper capacity 50 to 200 Kgs. (Depends upon density of material). 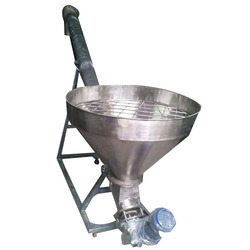 • Screw feeding system for feeding the material into upper hopper of filling machine. • Suitable for all type of powders such as Spices, Milk Powder, Flour, Paints, Clay powder, China Powder, Pesticides and other powder products. 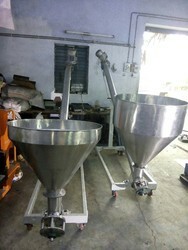 • Open & Close type feeders as per requirement. • All contact parts are made of stainless steel / Mild steel. 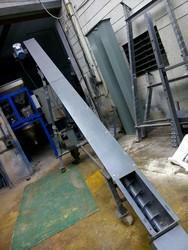 • Automatic material controlling in overhead hopper. Packaging Details: Wooden box extra charge.